***** Please note that the new state and local 14.45% lodging tax applies only to those vacations commencing July 1, 2019 and later. On all booking requests for vacations commencing prior to July 1, 2019, we will provide you a revised quote with the tax removed. Recently renovated and freshly furnished home, including a totally new kitchen with granite countertops and stainless appliances. Three bedrooms, two with queen beds and one with 2 twin beds. All new full bath and a second half bath, along with an outdoor shower. As the home sits directly on the shore of the Centerville River, the views are extraordinary. Under 200 yards to Craigville Beach and a hop, skip and jump to Four Seas Ice Cream. Recently installed dock suitable for kayaks, canoes and inflatables up to 11 feet with up to 9.9 horsepower, or for just lounging or fishing. Central air conditioning, dishwasher and washer and dryer add to comfort and convenience. Gas fireplace for chilly nights, cable television (42' flat screen), DVD player and stereo for entertainment. Weekly rates starting at $1,500.00 depending on season. Call Gary for more details or to have more pics emailed. Perfect Spot Don't miss this one! Thank you, and we hope you'll return! This was our 2nd summer for renting this wonderful home.. 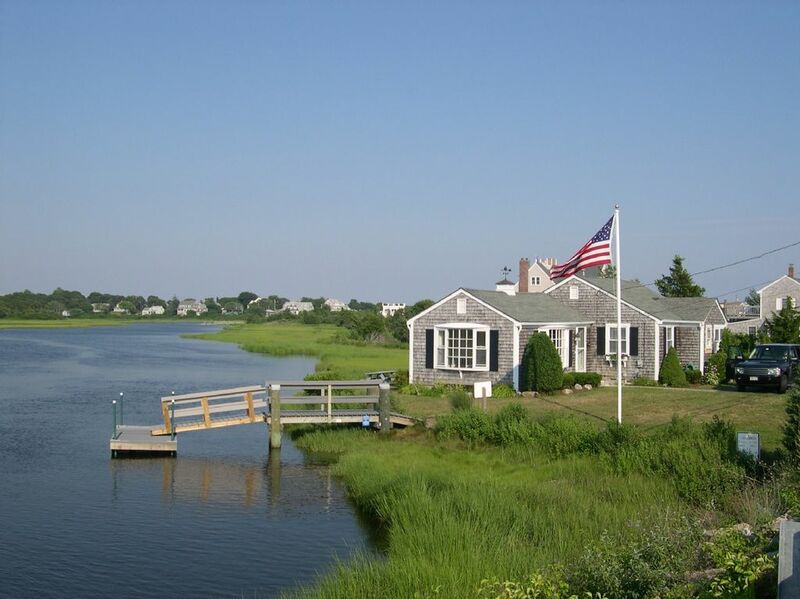 The house is perfectly located on the cape, tucked in between charming Osterville and the tourist town of Hyannis. The home itself is right on the Centerville River(literally outside the back door) and the ocean(Craigville beach) is few hundred yards from the front door.. We found the decor to be quintessential New England beach style... very lovely. This is a great home for children. we had 2 kayaks(one provided by owner), 2 paddle boards and a huge tube to float around on the river... the views from the livingroom/kitchen are spectacular! the kitchen is amply equipped for cooking and entertaining.. They have a chalk board pantry closet door in the kitchen that the kids loved to draw on. We have already booked for summer '14 and cannot wait for another fun filled vacation .I would highly recommend this home. Just steps to one of the nicest beaches on Cape Cod. Relaxing site on the Centerville River while convenient to shopping, antiquing, sight seeing and fine restaurants. Great fishing and boating.